The days for the current generation Maruti Suzuki Alto are numbered as new and strict safety regulations will become applicable in India by the month of October this year. The Alto, in its current spec, will not able to to pass them. Maruti Suzuki has already started working on a major generation update for this hatchback. It will be based on the Concept Future S showcased at last year’s Auto Expo. In fact, the development seems to have reached its final stages as recently there have been a number of sightings of the test mule of this vehicle in our roads. With this generation update, the Alto is going to get a complete makeover. It will ditch its small car appearance for an SUV-ish design. Going by the spy shots, the hatchback’s exterior seems to be in sync with what we see on the current generation Kwid hatchback. Since the car is under heavy camouflage, we cannot comment on its specific details. 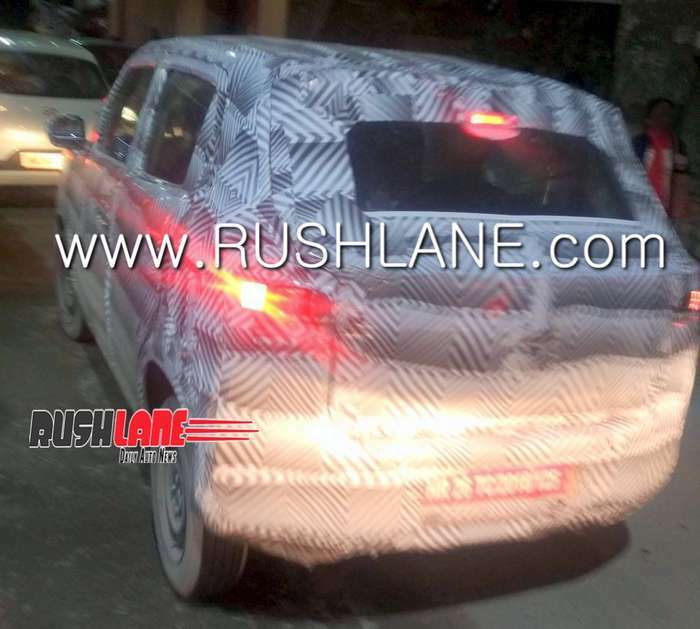 However, what we can tell you is that it is going to get LED tail-lamps. Maruti can also include projector headlamps, just to add a bit of flair to the package. On the inside, the new Alto is likely to get a funky cabin. The infotainment screen is likely to be the same 7-inch touchscreen that we currently see on the Maruti Baleno and the new WagonR. It will offer features such as Android Auto and Apple Car Play. Maruti can skip automatic climate control, considering the price point in which this car falls in. However, it is still going to get features such as steering mounted audio controls, all-four-door power windows, electrically adjustable power windows to name a few. In terms of safety, the new Maruti Alto is going to get dual airbags upfront, ABS with EBD, reverse parking sensors, driver and passenger seat belt warning system and high-speed alert systems as standard across the range. It is too early to comment on the engine specifications of the new Maruti Alto. However, this car could get the Bharat Stage VI complaint 1.0-litre engine. Or as recent media reports have suggested, a 600cc, turbocharged petrol engine.